In my role as Business Relationship Manager I get a lot of inquiries from Xero Partners wanting to understand the conversion process. If you have never used us before, the unknown may be daunting – but in reality it is all very straightforward! There is some ‘tidy-up’ work that we recommend you do in the file prior to conversion. But because it is a lot easier to perform functions such as reconciliation in Xero we suggest that you leave unreconciled items unreconciled and open invoices open, as long as these transactions are after the conversion date*. * The conversion date is the start date from which we bring across historical data from the source file. Transactions end where the file ends. More information on preparing your file for conversion can be found on our Frequently Asked Questions (FAQ) page. Perform a backup to compress the file and reduce the time it takes to upload. To get started go to our website and click the green ‘Upload’ button. Please allow some time for the upload to occur, especially if your internet speed is slow. Usually you only need to wait around 5 – 10 minutes though it can take up to 30 minutes depending on your broadband and file size. If you navigate away from the screen prior to the upload finishing you will need to start over again. So perhaps this is a good time to go get a cup of coffee while our server does its thing! You then fill in contact information for yourself, and the e-mail address to which we should send the Xero subscription once the new Xero org has been created. The service page will default to the maximum amount of history that can be provided under every service package. Accelerate package for large & complicated files, maximum history possible & priority service. 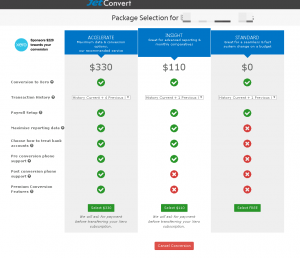 If unsure about the selection to make please email support@jetconvert.com or hop onto chat. Should you wish not to proceed just click the red Cancel button. To proceed click the green button according to the package that suits you best. For the premium packages you then go to another page to advise us how you want the bank accounts to be treated in Xero. This could be immediately or make take a few hours. 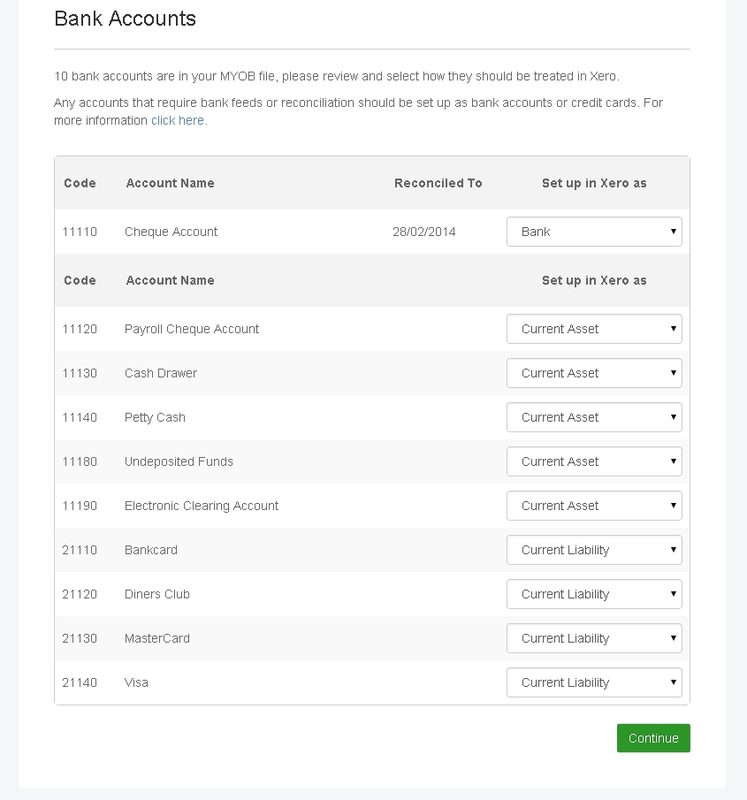 In your file, bank accounts will be set as either bank, credit card, asset or liability. 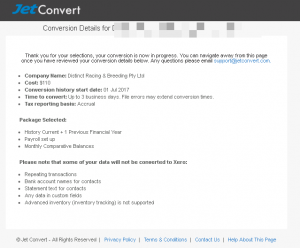 At this step you can review and, if necessary, change bank account types prior to conversion. Select the bank map account types and then hit the green Continue button to get the conversion happening. If you selected the custom Chart of Accounts option to map the Xero Chart of Accounts you will receive a separate email asking you to perform this step. Otherwise from here we take up to 3-5 business days to complete the conversion though more often than not we will get it to you sooner. From now on your conversion status page will show you where the conversion is at. IMPORTANT – Before you navigate away from the status page read EVERYTHING carefully and call us if you are unsure of any information displayed there. You can now sit back and relax until you hear back from us. MYOB conversions are completed in up to 3 business days, other software types in up to 5 business days. Accelerate packages receive priority service and we aim to turn them around faster than that as much as possible. 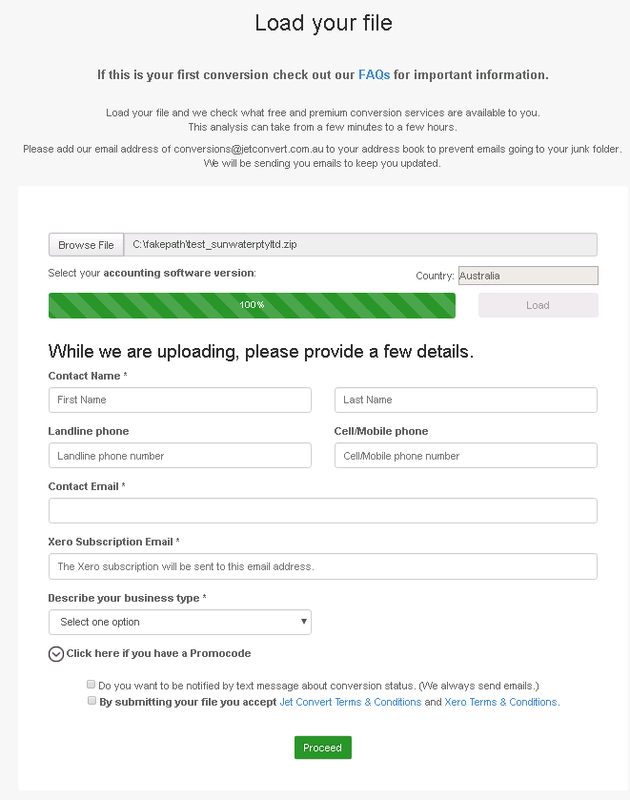 At the completion of the conversion you will receive an email with post conversion Action Checklist as a PDF. If you ordered a premium package we direct you to the status page to pay via Master or Visa card. The Action Checklist gives you useful information on the data that came across and recommended next steps. Following payment (if applicable) you are separately sent an email from @xero.com with a link to taking over your Xero subscription. 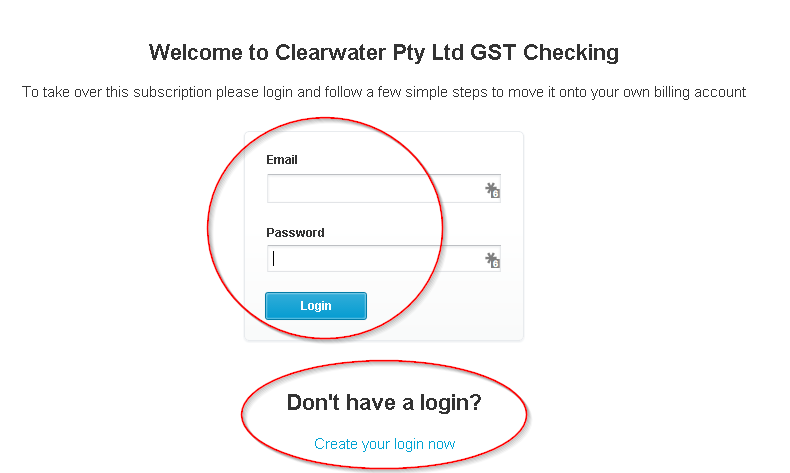 Click on the link in this e-mail and then either login using your existing Xero username and password, or register with Xero if you have not done so before. I hope this helps to give you an overview of what happens during a conversion. It may sound simple – and that’s because it is! On our part, the team have spent many hours developing the software and creating rules to get the complex and time consuming grunt work done. Which leaves you to focus on what you do best, delivering value to your customers. Thank you. If I convert a client to a new Xero Subscription will this become part of my “new client” that I have to put on as part of my initial accreditation? If I convert my own data once I become Xero Accredited – there is no charge for Xero Subscription. Does all this still work with you? Thank you for asking. Firstly with your client we will transfer their subscription to whoever you advise us to. That may be you if you hold it on your client’s behalf, or it may be your client if they will be holding it. With your own Practice subscription, all you need to do is advise Xero which organisation is your Practive org and they will apply the free subscription to it. 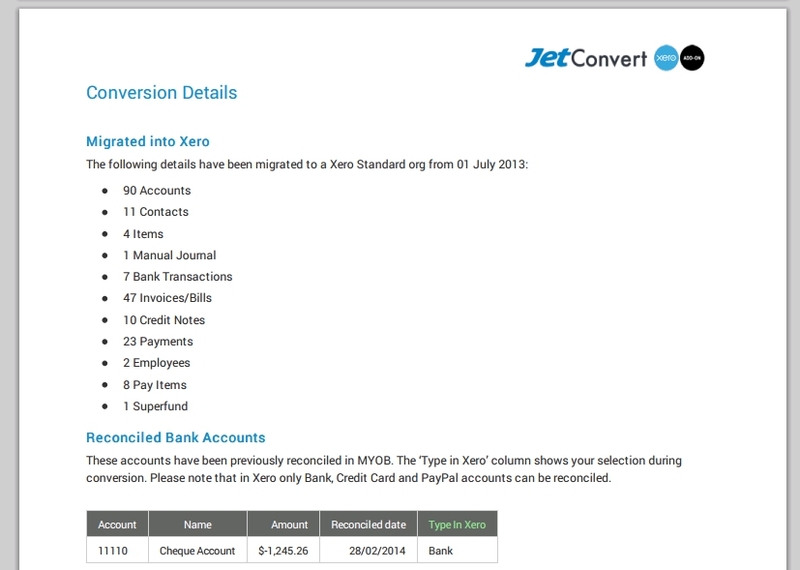 If you have any other questions feel free to hop onto chat or email us at support@jetconvert.com.